Occasionally, MaryJanesFarm magazine sends you here to our website for extra recipes, patterns, and instructions mentioned in our magazine. 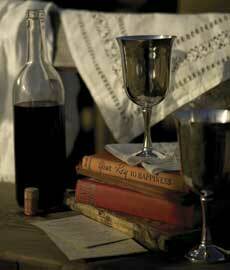 This section of our website is chock-full of ideas; enjoy spending some serious creative time here! 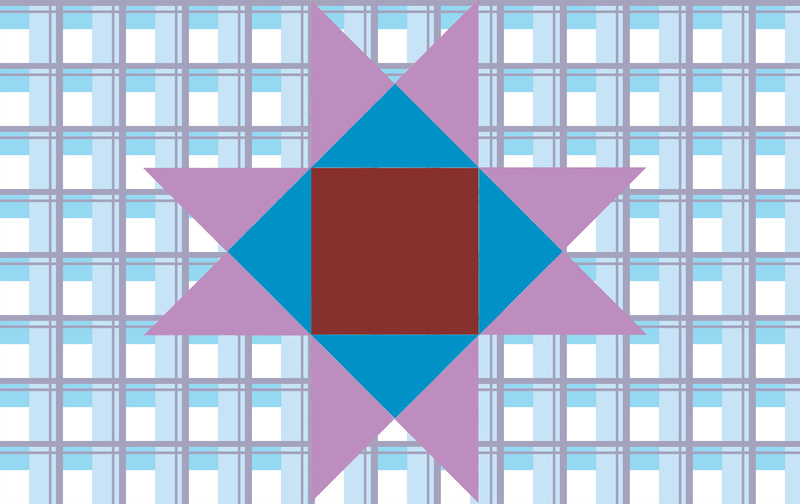 Restoring Heirloom Quilts (p. 66): Click here for a pdf of instructions for making a slip stitch and a running stitch. Printable Storage Labels (p. 58): Click here for our free printable storage labels. 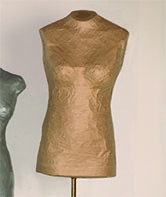 Paper Tape Dress Form (p. 78): Click here for our paper tape dress form instructions. 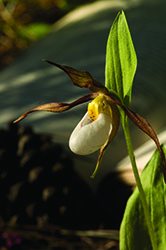 First Flower Identification Cards (p. 82): Click here for our flower identification cards. 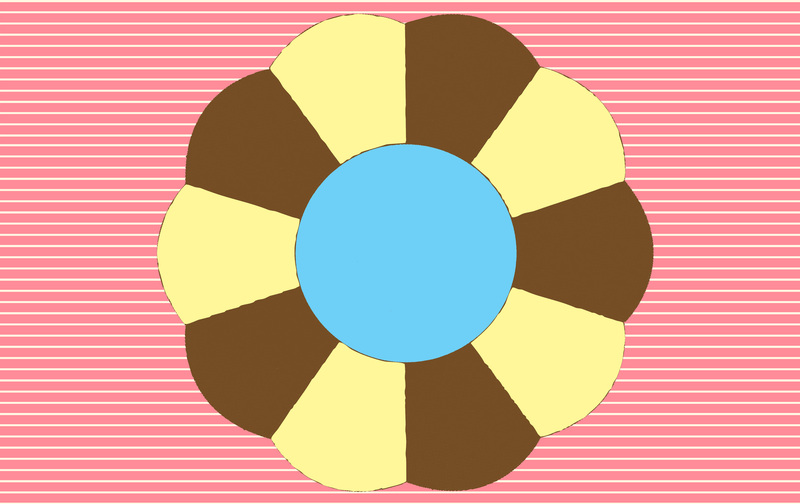 Carrot Embroidery Pattern (p. 86): Click here for our carrot embroidery pattern. Holiday Apron Pattern (p. 80): Click here for a PDF of printable instructions for our Holiday Apron. 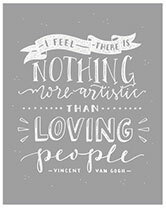 Gabri Joy Kirkendall valentine (p. 52): Click here for a free downloadable high-resolution version of Gabri Joy's valentine just for you! Floral Look, Rosebuds (p. 83): Click here for instructions for making our fabric rosebuds. Advent Calendar (p. 52): Click here for a free download of the calendar dates we used in our "Countdown to Christmas" advent calendar. 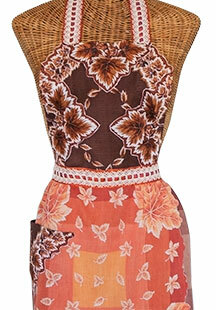 Full Hanky Apron Pattern (p. 77): Click here for the pattern from our “Hanky Panky” issue. 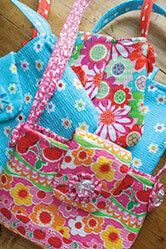 Snack Bag / Luggage Tag Patterns (p. 47): Click here for the pattern from our “Little Sprouts” issue. 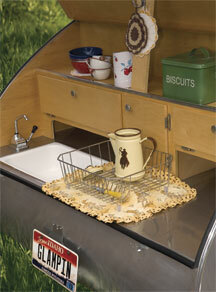 The Farmgirl in All of Us (p. 18): Click here to see Carol’s favorite layout in our “The Art of the Egg” issue. 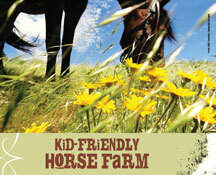 Kid-friendly Horse Farm (p. 18): Click here to see Carol’s favorite layout in our “Attitude of Gratitude” issue. Cami Pattern (p. 32): Click here for a matching cami pattern. 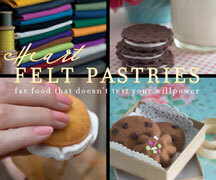 Classic Favs Go Organic (p. 34): Click here to find instructions for our felt pastries from the “Garden Secrets” issue. 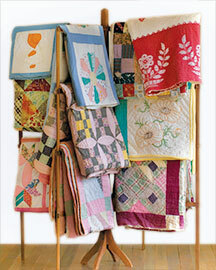 Dish Drainer Quilts (p. 41): Click here for instructions for our Dish Drainer Quilt from the “9–5 Inside/Outside” issue. 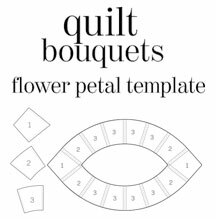 Quilt Bouquets (p. 41): Click here for a flower petal template from our “G Is For ...” issue. 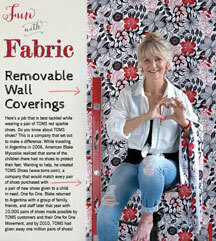 Removable Fabric Wall Coverings (p. 44): Click here for complete instructions from our “Saying Yes!” issue. 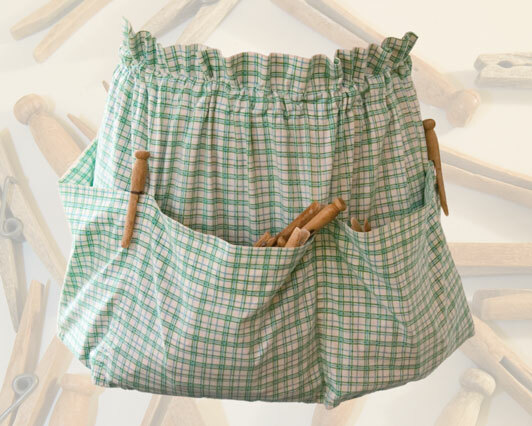 Clothespin Apron (p. 55, 57): Click here for instructions from our “Old Fashioned Christmas” issue. 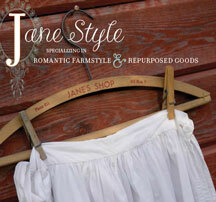 5-Star Hen Hotel (p. 74): Click here for instructions from our “Raising Jane” issue. 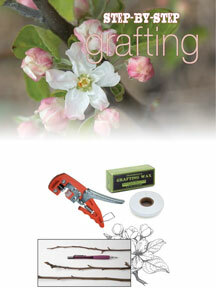 Grafting (p. 78): Click here for grafting instructions from our “Smitten” issue. 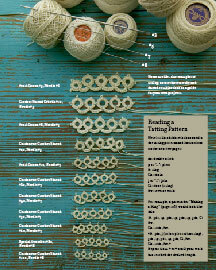 Rethinking Easter Eggs (p. 64): Click here to learn to tat with our step-by-step instructions. 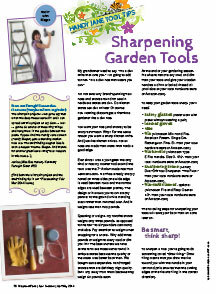 Sharpening Garden Tools (p. 78): Be smart, think sharp! Click here for step-by-step instructions. 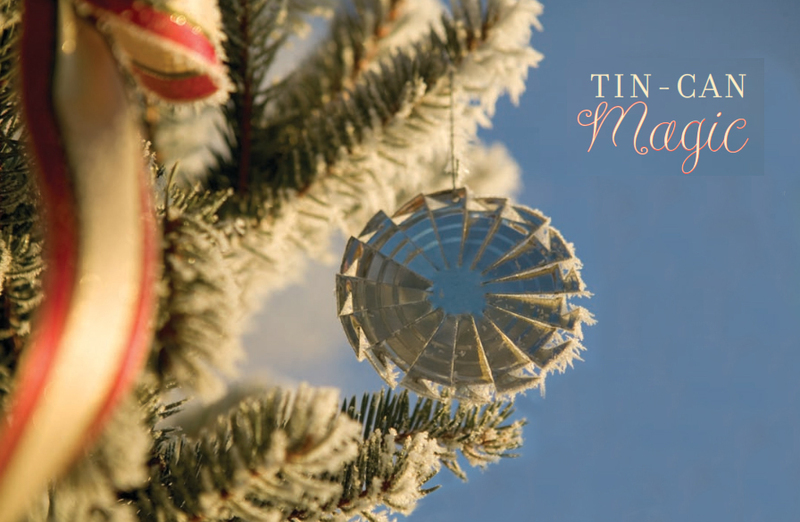 Wooden Spool Ornaments (p. 74): As promised, click for an up-close and personal look at our wooden spool ornaments! Why Organic Cotton (p. 78): Click here! 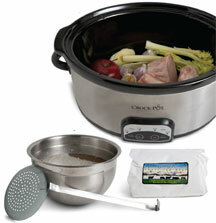 Bone Broth (p. 84): Click here! 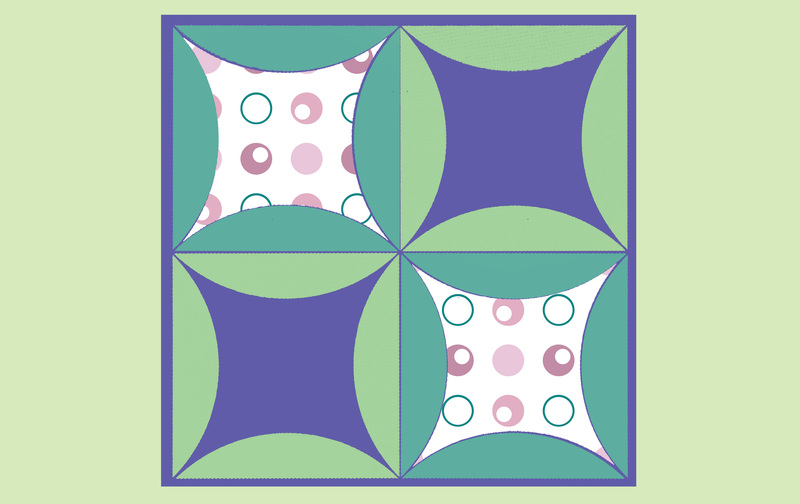 Dish Drainer Quilt (p. 74): Click here! The Homegrown Wedding — The Wedding Cake (p. 87): Click here! Each recipe should be baked for 25–30 minutes, or until a toothpick inserted into the center comes out clean. Build a Barn from Pallets (p. 77): When building a barn from pallets, you’ll need 24 lag bolts to secure the carport feet, rather than the 16 listed. Now, some carport kits require 16, but the kit we used in the photos requires 24. Not a biggy, because actually it will work just fine with 16, but do pick up a few extra lag bolts if you want yours to look like ours. Recipes for Garlic Scape Pesto (p. 54) Click here! Or you can watch Denali and Hallie making a basket on MaryJanesFarm.tv! The Art of Hammocking (p. 80–81) Hallie demonstrates how to make your very own hammock using old curtains. Watch it on MaryJanesFarm.tv! 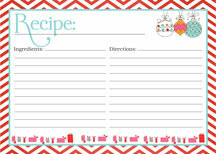 An Organic “Twist” on Candy Canes (p. 62–63): Find instructions here in PDF format. Tie Pillow (p. 46): Click here for a pdf of instructions for our tie pillow. 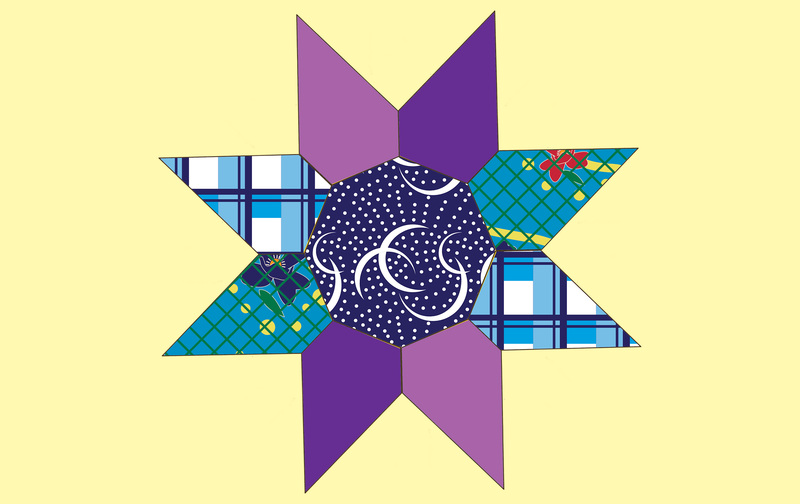 Tie Quilt Wall Hanging: In addition to the tie pillow, we’re providing instructions for a wall hanging. Click here for the pdf. 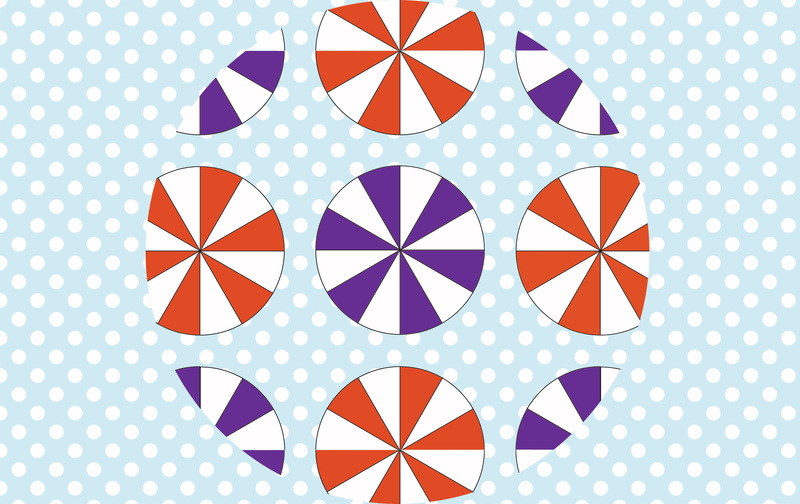 Game Wheel (p. 47): Click here to learn how to make an old-fashioned bingo game wheel. Amaryllis Bulb Kit Template (p. 53): Click here for the pdf. T-shirt Quilt (p. 85): Click here for a pdf of the instructions. Barn Animal Templates (p. 67): Right-click (or on Mac command-click) each image and select "Save Picture as..." or "Save Image as...". Bran Muffins (p. 19): Click here (pdf) for two additional bran muffin recipes. Farmgirl Fabric Collection (p. 39): My new Farmgirl Fabric Collection is hot off the presses and we couldn't be more excited! 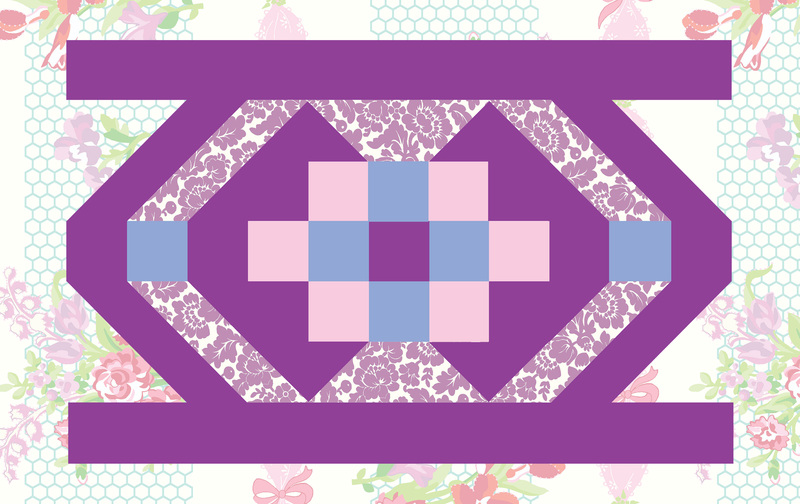 We've stitched up a few ideas and given you 5 FREE QUILT PATTERNS to get you inspired. Click here for a pdf. Farm Fair Vendors (p. 59): Click here for the list of vendors that were at Farm Fair 2009 on Saturday at Oakesdale, and Sunday at Settler’s Creek. 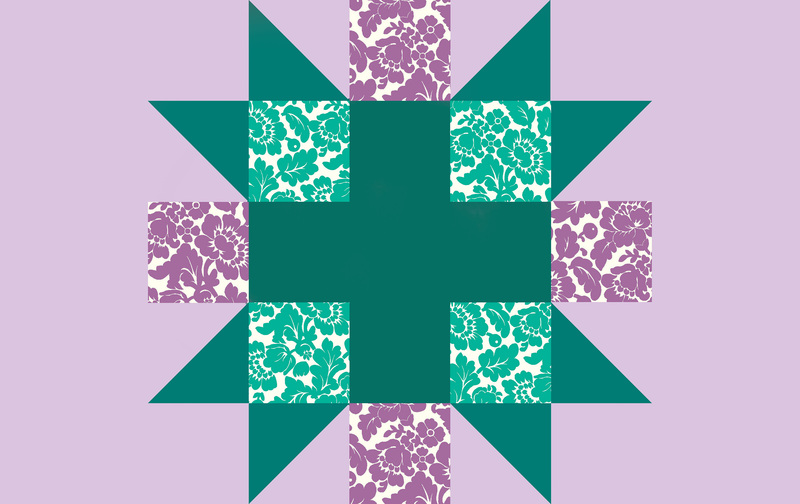 Restoring Heirloom Quilts (p. 68): Click here for a pdf of instructions for making a slip stitch and a running stitch. Shear Delight (p. 76): In our "Simply Bee" issue, we taught you how to felt an old wool sweater and make cute Valentine's Day-inspired felting projects. Click here for a pdf of those instructions, then use them to make pillows like the ones on p. 76-77. Knit a Sweater Shawl (p. 78): Find two additional patterns for sweater shawls here (pdf file). 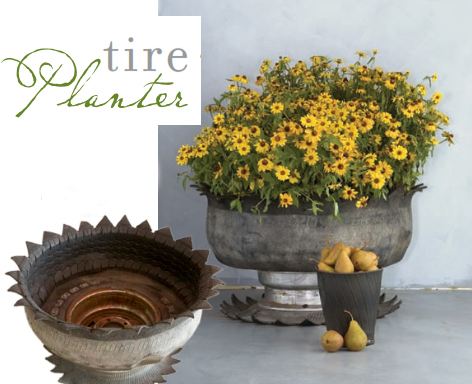 FUNctional Chicken Wire (p. 80): Click here for a pdf of instructions for our wire baskets and blackboard. Printable compost sign (p. 14): Click here to download a pdf. Savor the End of Summer by Pitching a Homemade Tent (p. 82): Click here to download instructions in pdf format. Drawstring Bags: Click here for a pdf of the pattern. Crocheted Bun Cover: Click here for a pdf of the pattern. Twine-Trimmed Placemats: Click here for a pdf of the pattern. 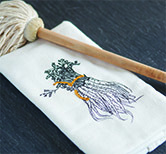 Twine Scrubbie: Click here for a pdf of the pattern. Twine Belt: Click here for a pdf of the pattern. Watch my milk cow, “Chocolate,” Giving Birth to “Molasses” (p. 44): Click here to view the slideshow. 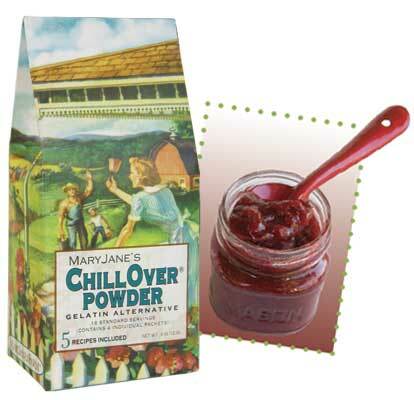 Plum Leather with MaryJane's ChillOver Powder (p. 67): Click here for the recipe (PDF). Tote Bag Pattern (p. 79): Click here for a free pattern (PDF). Vintage Silhouette Decals (p. 82): Click here to peruse and download some examples. Knitted Dishcloth with Crocheted Edging (p. 82): Click here for a free pattern (PDF). 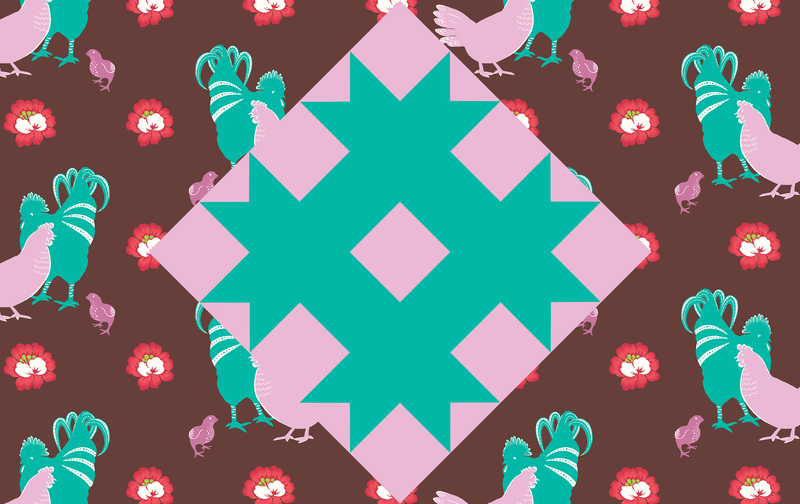 Bee Potholder Transfers (p. 76): Click here for transfers in PDF format. 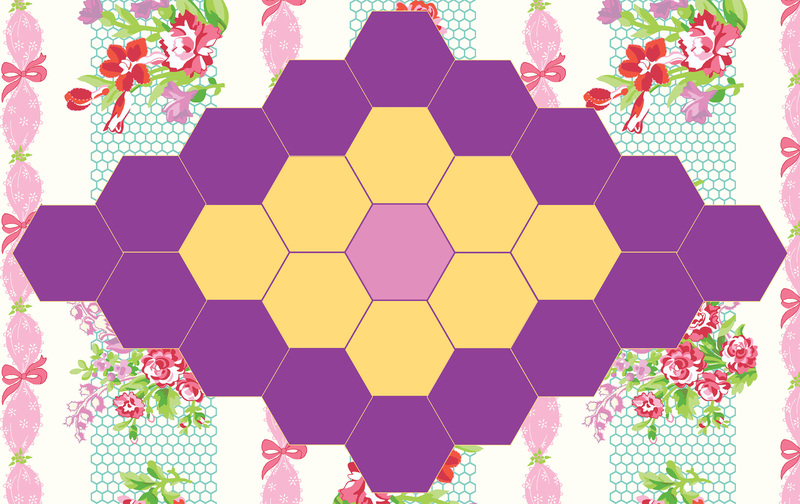 Hexagon Template for Honeycomb Quilt (p. 86): Click here for template in PDF format. 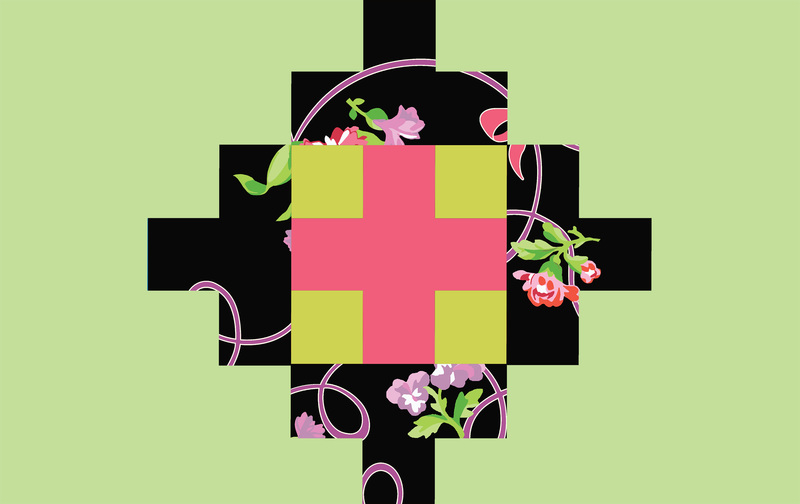 Pattern Enlargement (p. 34): Click here for simple instructions on enlarging any sewing pattern. You don’t need expensive photo transfer paper to transfer your own photos or vintage images onto fabric—all you need is freezer paper and a standard color ink-jet printer. Cut both the freezer paper and your fabric to standard letter size, 8½″ x 11″ (if your printer prints larger sizes, you could cut to 8½″ x 14″ or 11″ x 17″ as well). The fabric and freezer paper will go through the printer together, so they’ll need to be no thicker than the thickest paper your printer can handle. Place wrong side of fabric to glossy side of paper and iron together (no steam) for about 45 seconds. Be sure the corners are adhered so they won’t get stuck in the printer. Place in printer as you would printer paper, and then print a photo or image from your computer onto the fabric. 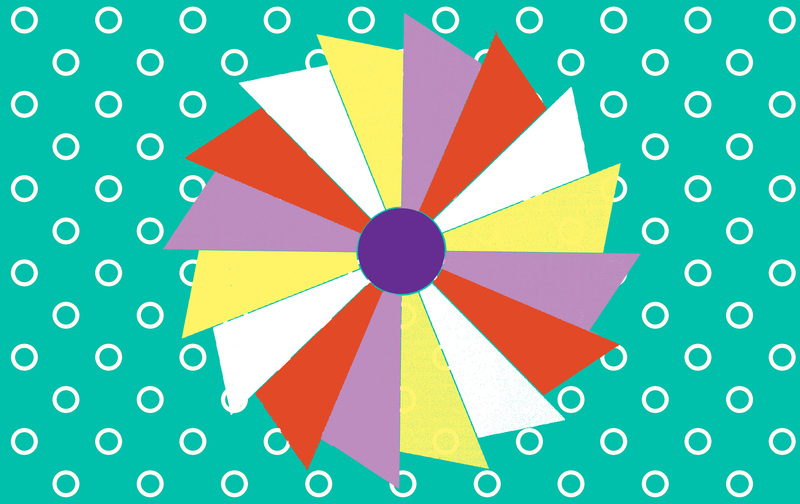 Peel off paper and use your fabric image to create your own memory pillow. Yo-Yo Pillow Instructions (p. 86): Click here for complete instructions in PDF format. Holiday Apron Pattern (p. 88): Click here for a PDF of printable instructions to include with your gift. Paper Tape Dress Form (p. 90): Click here for complete instructions in PDF format. Make an Embroidery Sampler (p. 28): Click here for a PDF of embroidery stitches instructions. Raising Jane™ Knickers (p. 68): Click here for a pattern, or click here to order a pair! Bodysuit Bloomers (p. 70): Click here for a FREE pattern (PDF format). Drawnwork Instructions (p. 74): Click here for a beginner's drawnwork tutorial (PDF format). Build a 5-Star Hen Hotel (p. 104): Click here for complete instructions in PDF format. 1. Combine crushed strawberries and sugar in a large pot. Bring to a boil, stirring to dissolve sugar. 2. Sprinkle and stir Chillover Powder into liquid and boil rapidly for 3 minutes, stirring constantly. 3. Remove from heat and can in sterile jars (refer to a canning manual for complete canning instructions). Making a Rag Doll ... 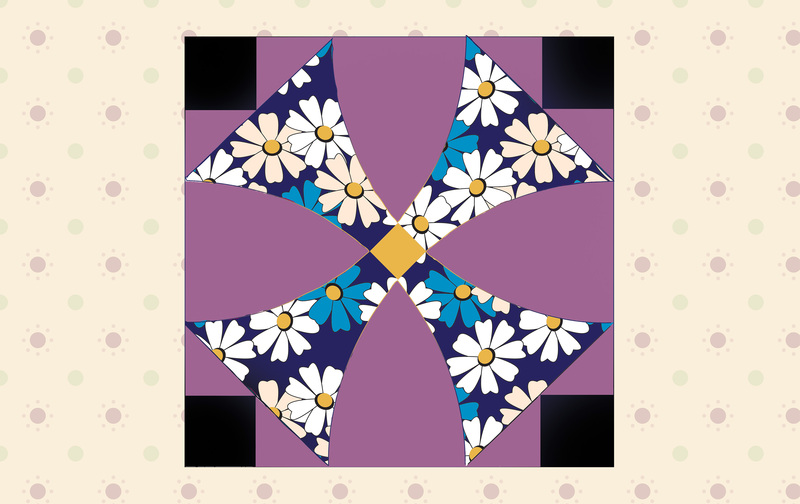 Sister Mercy Style (p. 108): click here for an easy PDF tutorial. 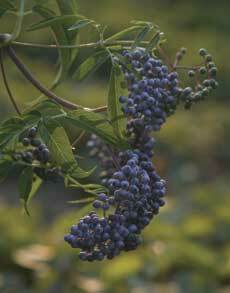 Elderberries are found throughout North America and have a long history of medicinal applications. It is an indigenous tree that can grow to 30 feet and produces small (1/4 inch), round, nearly black berries that take on a dusty white “bloom” when mature. At my farm, they grow wild in the draws and in some of my gardens. It is important to use only fully mature berries when making juice and to avoid getting any of the larger stems or leaves mixed in.